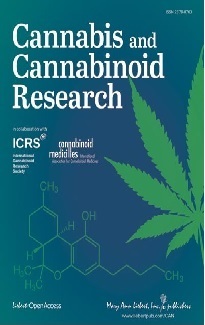 First results of a follow-up study of the largest ever conducted clinical study of THC and cannabis in multiple sclerosis, known as the British CAMS study (Cannabinoids in Multiple Sclerosis), were published. The results of the 15-week-trial with eligible 630 patients had been published in November 2003 in the Lancet. 80 percent of the original study population participated in a 12 months follow-up study. While in the short-term study there was no significant effect of cannabinoids on objective spasticity scores according to the Ashworth scale, the long-term study showed significant effects on this parameter in the THC group. As in the short-term study there was no significant objective improvement of spasticity in the cannabis group compared to placebo. In the 15-week-study 657 patients with stable MS and muscle spasticity received either a capsulated cannabis extract, THC or a placebo. They received a maximum daily dose of 10-25 mg THC. 630 patients were eligible for statistical analysis. Although there was no objective evidence that cannabis relieved spasticity, or muscle stiffness, caused by the disease, patients reported subjective improvements in pain and spasticity. Mobility was improved as well. 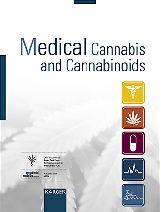 Study results caused different conclusions by experts with regard to the therapeutic benefits of cannabinoids in multiple sclerosis. Until now only preliminary information on the 12-months-study is available. It is unclear why THC and not cannabis had effects on the Ashworth scale. Authors concluded from their data: "Initial results suggest that there may be more benefit over the longer-term than we found over the first part of the study."